L'Occitane is celebrating over 20 years of Shea! In the early 1880's, Olivier Baussan, founder of L'Occitane. made his first trip to Burkina Faso and discovered shea butter, its incredible benefits and story. Far from Provence, in Burkina Faso, Africa, grows the sacred Shea tree. Only the local women are entrusted with the secrets of Shea Butter preparation, and only they can benefit from its trade – which is why it is called “Women’s Gold.” Through a long-standing partnership, L’OCCITANE buys Shea Butter at a fair price directly from three women’s cooperatives, involving 11,000 women and assists them in building a stable future for themselves and their families. The women of Burkina Faso harvest the Shea fruit, extract and dry the nuts, grind them to make a fine paste and transform the paste into Shea Butter – a universal and irreplaceable beauty care product. Shea Butter protects the skin against the sun as well as the hot winds carrying dust and fine sand that dry the skin. Thanks to precious Shea Butter, the women of this region protect, nourish and moisturize their skin. The women also traditionally protect newborns against harsh environmental elements by applying Shea Butter daily to their delicate skin. L’OCCITANE’s Shea Butter range brings these same benefits to the face, hair and body in products that contain a high percentage of Shea Butter, which is particularly recommended for dry and very dry skin. Shea Butter (Butyrospermum Parkii Fruit) – A product of the Shea Karite tree which grows in West Africa. Shea butter is revered in Africa for its almost mystical skin-nourishing properties. More popularly known in the West as Shea butter, this yellow-white to ivory-colored paste has been used by African healers for thousands of years to alleviate maladies of the skin and scalp. 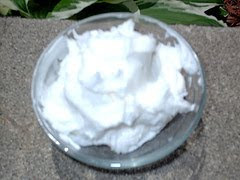 Traditional uses of shea butter include: treatments for dry skin, blemishes, skin discoloration, scars and wrinkles, a relaxer for stiff muscles, as an aid for pain from swelling and arthritis, even as a sun screen. The high content of fatty acids and vitamins A, E, and F make it a rich and powerful moisturizer. Cut some carrots in small pieces and put them in boiling water and allow them to cook for some time. Then mash these cooked carrots and apply them on your hair. Allow it to set on your hair properly for about 15 to 20 minutes. Then wash your hair with warm water.